One of the unintended consequences of Brown v. BOE was how the court’s decision was implemented. Namely, Black schools were closed. Some Black administrators became teachers in White schools while others had to look for work elsewhere. Large numbers of Black teachers lost their jobs while Black children were sent to White schools to learn from White teachers. Most, if not all of those teachers, taught Black children the same way they taught White children. Some would say that the “colorblind” approach proves that there is no racism or racist intent in teaching. I would argue that to be colorblind is to ignore, or to be ignorant of, the cultural norms and differences that impact behaviors, how students learn and how teachers teach. Code-switching is a part of life for Black people; it is germane to the African-American survival. You learn it at an early age. It starts with an understanding that you are to speak differently with adults; unlike the way you speak with your friends. That lesson trains you for the lesson to come: you speak differently in the presence of White society than you do in the presence of Black society. This difference in speaking concerns language: standard American English (SAE), the language of Western business, commerce and education versus the African-American Vernacular English (AAVE). AAVE has many different names: Black English, African-American English, Ebonics and so forth. AAVE is a dialect of American English just like Ozark and Southern Appalachian. However, historically the AAVE has received a negative connotation from the American mainstream. It is still considered by some as poor English or improper English. Yet you can find the AAVE in the literary works of Zora Neal Hurston and Langston Hughes. You can also find the AAVE in popular music such as hip-hop and/or rap – the most dominant genre of music in the United States. By the way, 80% of hip-hop music is consumed by White men; specifically young White suburban males. AAVE is also culturally appropriated by non-Black people in GIF’s and Meme’s all over the internet. It is culturally appropriated when non-Black people make entertainment videos that gain views and advertisers. AAVE is a regular dialect of the language spoken in the United States by both Black people and White people. Mainstream culture looks on at Black people who use the AAVE with a mixture of amazement, jealousy, and contempt. Yet those same on-lookers will attempt to replicate what they’ve seen and/or heard because they understand (whether or not they choose to say it out loud) that Black people drive popular culture. However, we (educators) criticize Black children who speak the dialect rather than speaking standard English. I have been guilty in the past of correcting Black children who have used what some would consider “improper English.” But I use the AAVE every day. I use it with my wife, my friends, and even my children. I do not annunciate the phrase “I don’t know,” I simply say, “Iono.” Rather than say, “talking about,” I say “talmbout.” Rather than say “nothing,” I’ll say “nuttin.” This is just my everyday use of the vernacular. I say it, I text it and I type it on social media. Now, when in a business meeting or professional discussion, 9 times out of 10, I don’t use the AAVE. In some professional circles (usually Black professional circles), the AAVE has a place, but traditionally, it does not. Nevertheless, to fail in acknowledging the legitimacy of AAVE as an American dialect of English is a matter of racial prejudice. Here, the Court says that when teaching Black students how to read standard English, you must acknowledge and respect the authenticity of the AAVE. There are some other points made in the opinion that I disagree with and that I can refute easily, but I digress (I’ve refuted some of that opinion in the paragraphs above). Failure to do so (take into account the authenticity of the AAVE) will alienate students in a way that hinders an educator’s ability to teach and a Black student’s ability to learn. You cannot treat Black children who are native speakers of AAVE as you would a native speaker from Japan, Spain or China. Those students (children born in, or 1 generation removed from another country) have an identity tied to a home nation with a culture steeped in traditions, norms, and values. Black children have no such home nation where they can grab hold to an identity. The United States took their ancestors and enslaved them. The identity given to them is one of inferiority. The freedom for the enslaved came with (and still has attached) conditions [See the 13th amendment]. Black people weren’t given the inherent rights the U.S. Constitution says all Americans have… These were rights that Black people fought for and continue to fight for. The AAVE is an amalgamation of the old languages of the Western Cape fused with the English spoken by uncivilized men who thought they were. You must take that history, that truth into account when teaching Black children who are native AAVE speakers. DO correct students who use AAVE in an academic setting. The norms of the academic setting are according to Western norms and practice. Although the AAVE has found itself in more intellectual spaces, it is not the traditional language of academia. Black students need to know the academic language to navigate American society – a society with little reverence for their culture unless when it can be exploited for mainstream gain. Code-switching is a part of the African American experience. We learn it at an early age. We learn that it is as natural as life itself. When a student uses it in the classroom or with you, simply ask them to speak in the academic register. DO NOT correct students who use AAVE with each other. It is not your place to correct students in the language they speak with each other. Is there speech that is not acceptable in any setting within a school, yes. Foul language, racially insensitive language and any offensive language that is gender, gender identity, sexual orientation identity or religious identity specific are prohibited. However, use of one’s cultural speech and/or dialect is not up for legislation by you or anyone else. There is an expectation of academic speech during instructional times. However, when students are conversing during allowed times i.e. lunch, and you overhear the AAVE being used, don’t correct it or make it even more awkward by asking questions about it. Just keep it moving. DO introduce students to literary classics that use the AAVE. As stated earlier, there are text that uses the AAVE within storytelling. Storytelling is a distinctive and rich aspect of African American culture. To expose students to the AAVE as a component of a rich oral and written literary tradition will do more for them by way of increasing their self-esteem and seeing themselves in literature. Here are some works that you can (and should) read in your classes: (1) William Wells Brown – The President’s Daughter: A Narrative of Slave Life in the United States; (2) Charles W. Chesnutt – The House Behind the Cedars; (3) Pauline E. Hopkins – General Washington: A Christmas Story; (4) Zora Neale Hurston – Jonah’s Gourd Vine; (5) Langston Hughes – The Best of Simple; (6) Ralph Ellison – The Invisible Man. DO NOT speak the AAVE with your students. I get that teachers have a desire to make their students comfortable with them by appearing relatable – particularly when the teacher is White and the student is Black. Sometimes, younger teachers will let students speak during instructional moments in AAVE. They’ll also speak to their students using their version of AAVE. These folks may not mean anything racially insensitive by this practice. However, it’s just a display of privilege. I will refrain from a conversation of your “right” to use the dialect, but what I will say is understand that if you’re White, you aren’t considered with a level of pity, contempt or disgust a Black child is when using AAVE. If you are not Black or White, you should understand the level of patronizing attributing to Black children when considering how you’re treated by the mainstream when speaking in your native tongue. Whether or not it’s fair, Black children must know SAE. Don’t patronize Black children in an attempt to “relate.” That’s not relating – it’s verbal blackface. DO learn about the history of and culture surrounding AAVE and its usage. There are numerous studies, essays, and books about the AAVE. You should do your research and familiarize yourself with the dialect to (1) recognize it, (2) react in a culturally appropriate manner when addressing it, and (3) taking it in consideration when teaching Black students and students of color who may use it. A good place to start is here: African American English by Lisa Green. DO NOT culturally appropriate AAVE for your entertainment. Don’t use your bastardized interpretation of the AAVE with friends and family to put down or poke fun at Black people by committing verbal blackface. Don’t use it with your Black colleagues or Black friends either. That doesn’t make you endearing, just obnoxious; and those colleagues and friends will question your racial sensitivity (if they haven’t done so already) in addition to checking you on your privilege. Using slang terms as a means to enact usage of the AAVE or using an insincere and forced version of the AAVE doesn’t make you an ally. What makes you an ally is standing against injustice and oppression against people of color in the classroom and in society. DO consult your Black educator colleagues on addressing students who use AAVE. If you are unsure how to have a conversation or how to tell a Black child to not use the AAVE in the classroom in a racially sensitive way, reach out to your Black educator colleagues and ask them how. ATTENTION ADMINISTRATORS (if you’re reading this), consider asking a Black teacher to co-facilitate or lead facilitate a PD on AAVE. Certainly, it can prove helpful for your staff. DO NOT overburden your Black educator colleagues with questions about the AAVE and other aspects of Black culture. We’re not here for that. We’re here to help and we’re here to teach, but you’re capable of doing research. If your research leads you to specific and thoughtful questions that no scholar has yet answered, by all means, bring us your questions. But please, refer to number 5 of this list. DO engage with parents who use the AAVE with care and respect. Use a compassionate tone when talking and understand that the AAVE is not a dialect for the poor and uneducated. There is the strong possibility that AAVE speakers are smarter than you. DO NOT look down on parents who do use the AAVE with you; don’t speak to them from a place of privilege. See number 9. AAVE is an authentic dialect of American English. The AAVE is a rich aspect of African-American culture. It should be regarded as such and treated with respect. One thing I am big on as an educator is confronting what some would consider controversial. Use and recognition of the AAVE in schools has had its controversies. However, if you intend on working in schools with a sizable Black population, you must be familiar with these issues and not afraid to tackle them. With that said, when tackling these, you must work with community advocates, parents and educators seasoned with the knowledge and experience on this and similar issues to address them in the right way. Thank you so much for writing this post. Although it is not your obligation to educate me on this (but rather it is my obligation to learn), I truly appreciate your taking the time to do so. I will share this widely. You’re welcome and thank you for sharing. 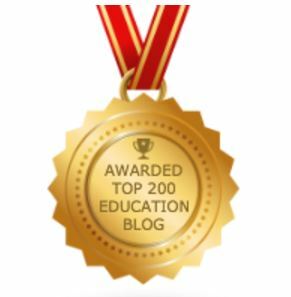 The purpose of my blog is to support educators with knowledge. It is my pleasure to provide insights for you. This is a community. I am glad for you to be a part of it. Very informative and engaging post. There is beauty in diversity, including that of language, but language has to be used in the proper context. This is not to be prejudiced, but that’s what is required of the society in general. Thanks for this educational article!